RAWLINGS, Marjorie Kinnan. The Yearling. Decorations by Edward Shenton. New York: Charles Scribner's Sons, 1938. 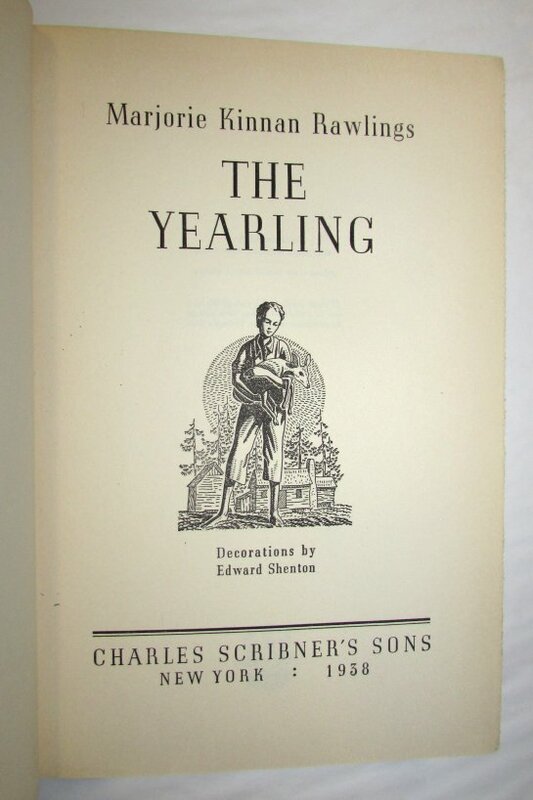 First edition, first printing with the "A" and the Scribner's seal on the verso of the titlepage. An about fine copy in a price clipped dustwrapper with some chipping to the spine ends and upper corner of the front panel, but certainly a very good, acceptable dustwrapper. Rawlings's editor was Maxwell Perkins, who also worked with F. Scott Fitzgerald, Ernest Hemingway, and other literary luminaries. She had submitted several projects to Perkins for his review, and he rejected them all. He instructed her to write about what she knew from her own life, and the result of her taking his advice was The Yearling. 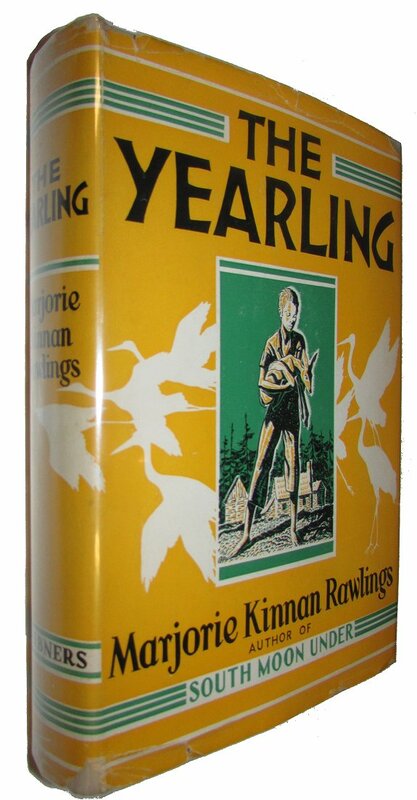 "The Yearling is a coming of age tale in which an innocent and happy twelve-year-old boy passes into young adulthood. Some of his youthful illusions are shattered by the end of the year in his life that the book chronicles, but Jody emerges with a substantial hold on the adulthood that stretches ahead of him." 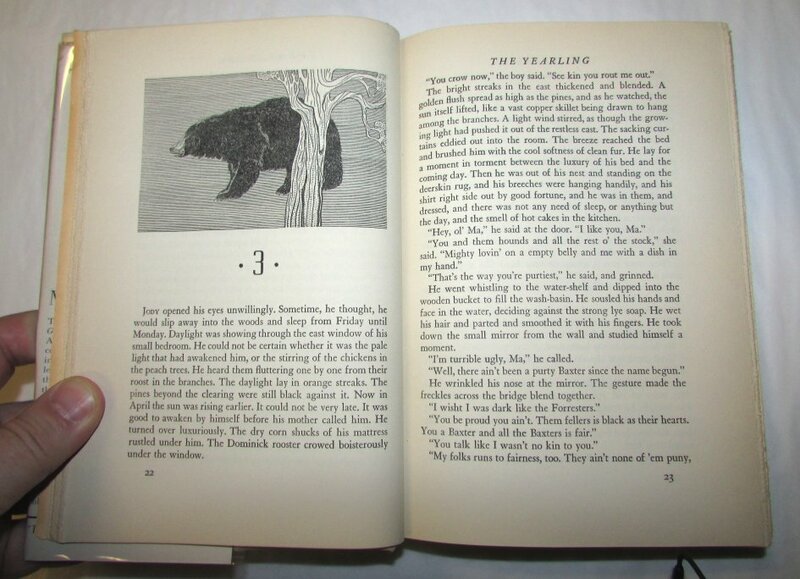 The novel spent 23 weeks at number one on the best-seller list in 1938 and it was a Book-Of-The-Month Club selection. It was made into a film starring Gregory Peck.